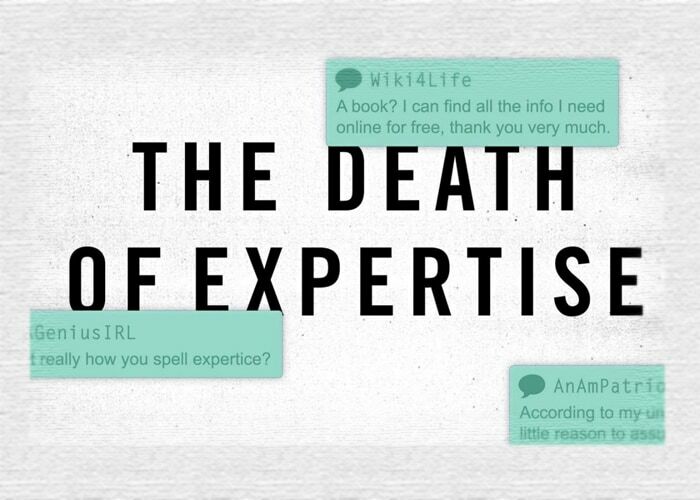 Experts were never really that popular. People don’t like to be told what’s best for them, and anyone who insists on accuracy is soon labelled a know-it-all. Experts early on had to learn to live with ridicule: they might know a lot about their own subject, so it went, but they didn’t have a clue about ‘real life’. The American satirist Ambrose Bierce mocked “specialists who know everything about something and nothing about anything else”. 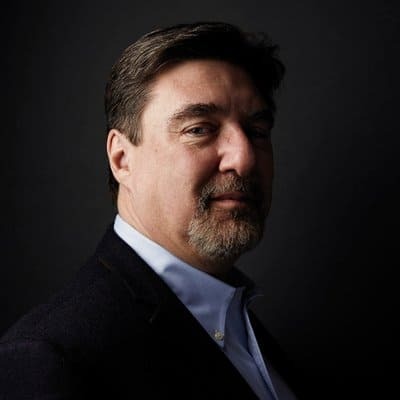 Tom Nichols is a professor of national security affairs at the U.S. Naval War College in Newport. He says he’s long had to get used to the fact that most people don’t like professors. Nevertheless, he thinks things have still changed from how they used to be. Back in the 1960s and ’70s, “most Americans assumed that the same people who put a man on the moon were probably right about most other important things”. But today, people devoid of any specialist knowledge are becoming convinced that they know better than the experts. “I don’t have a problem with people being sceptical – that’s actually a good thing”, says Nichols. “What’s bad is that people have lost all respect. We’re now being challenged aggressively”. With The Death of Expertise, Tom Nichols has written the ideal book for our times. It could be understood as an answer to Donald Trump, who described experts as “terrible” during his election campaign, and boasted that he didn’t need any. But the manuscript of the book was already finished before the election. “I didn’t predict Trump”, says Nichols. “But I knew something like him would happen to us”. This phenomenon isn’t just found in the USA, but throughout the Western world. Nichols’s book was soon translated into eleven languages, and its author has been inundated with invitations to speak. The crisis in expertise doesn’t just affect science. Doctors tell of patients who don’t ask for advice, but simply demand treatments they’ve found on Google. Architects and craftsmen tell of clients who want to dictate to them how to do their work. And teachers often have to cope with parents who aren’t prepared to accept that the answers their child gave in a test are actually wrong. The reasons for this phenomenon are as diverse as the problem is widespread. Nichols writes of a negligence that comes with prosperity: “Our highly technological world functions so smoothly that people mistakenly start to believe that everything is really simple. You click on a button, and your e-mail flies halfway round the world. No one thinks about all the experts that make it possible, from the engineers to the software designers and the diplomats”. Two other reasons for this crisis of expertise are to be found within our science system itself. On the one hand, we are experiencing the revenge of postmodern relativism. Starting with Nietzsche – who claimed that there were no facts, just interpretations – left-wing theoreticians in particular have fundamentally questioned whether there is any such thing as objective truth. The philosopher Michael Hampe from ETH Zurich claims that this is why it’s difficult to counter the arguments of those who wish to relegate the notion of man-made climate change to a mere thought-construct. On the other hand, experts have constantly been venturing beyond their own field of competence. 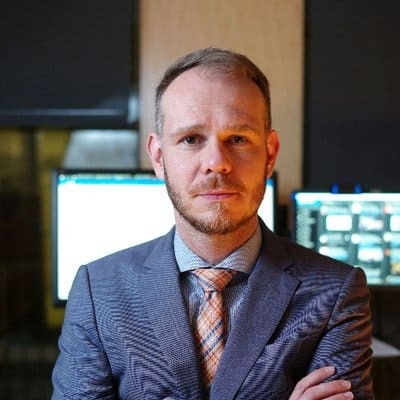 “Scientists can state the degree of probability that measles will break out in a kindergarten if 20 percent of the children aren’t vaccinated”, says Dietram Scheufele, professor of life sciences communication at the University of Wisconsin (USA). “But it’s not their job to decide whether or not to introduce compulsory vaccinations”. This is a political issue that can only be answered through the political process, he insists. Scientists should certainly offer their opinion, but they shouldn’t claim to be acting with any authority (as they often do), as “this can only mean they lose their credibility”. They should accept the fact that moral and religious notions play a role, says Scheufele. “Friedrich Dürrenmatt put it really well: ‘if something affects everyone, then everyone has to solve it’”. None of these undesirable trends would have culminated in our current crisis without one decisive factor: the Internet. It was naïve to think that the boundless availability of information, free of charge, must surely lead to the triumph of knowledge. In truth, the opposite has happened. Sound knowledge and informed opinions today exist on an equal footing with conspiracy theories and mere gossip. What’s even worse: dis- and misinformation often spreads quicker and further than facts. Social media are intensifying these negative developments. “We’re all friends on Facebook”, says Tom Nichols. “That has led to the absurd notion that we all know as much as everyone else and everyone’s opinion is equally valid”. What’s more, social media serve to promote an effect that psychologists call ‘confirmation bias’. In reality, people rarely form their opinions based on facts. Instead, opinions tend to be dominant, and people then seek the facts that confirm them. The Internet makes it far easier to find such ‘facts’ – supported by algorithms that supply us with hits that affirm what we want to believe. “This is the paradox of our new world of information: it has never been so easy to get all the information you want”, says Dietram Scheufele. “But it has never been so easy to avoid all the information that you don’t want”. The current crisis in expertise isn’t actually a crisis of science. In Europe, scientists are still regarded as trustworthy, and in the USA, 90 percent of the population – both Republicans and Democrats – have a positive opinion of science. The problem is that people seek out the science that happens to suit them. And this might just turn out to be the study about alleged links between vaccinations and autism that has long been revealed to be fake. So it is inevitable that people don’t become less ideologically minded as their knowledge increases. Instead, they become even more beholden to those ideologies. This has been shown to be the case with man-made global warming. Among Democrats, the more people know about it, the more they believe it; but the opposite is the case among Republicans. The American psychologist Ashley Landrum recently reported on a fascinating experiment she conducted. She had test subjects read an article about the dangers of the Zika virus. But she had two different versions of the article: the one linked Zika to climate change and global warming, the other to migration. Republican readers showed concern when they’d read the migration article, whereas Zika in the context of climate change left them cold. The exact opposite was the case among Democrats. In Europe, the situation does not yet seem to be as dramatic or polarised as in the USA. But a glance at the wider political situation doesn’t exactly foster optimism. To give just one of many examples, we need only consider the triumph of the Movimento Cinque Stelle in Italy, which insistently supports vaccine sceptics. The concurrent crisis in journalism doesn’t make things any easier. 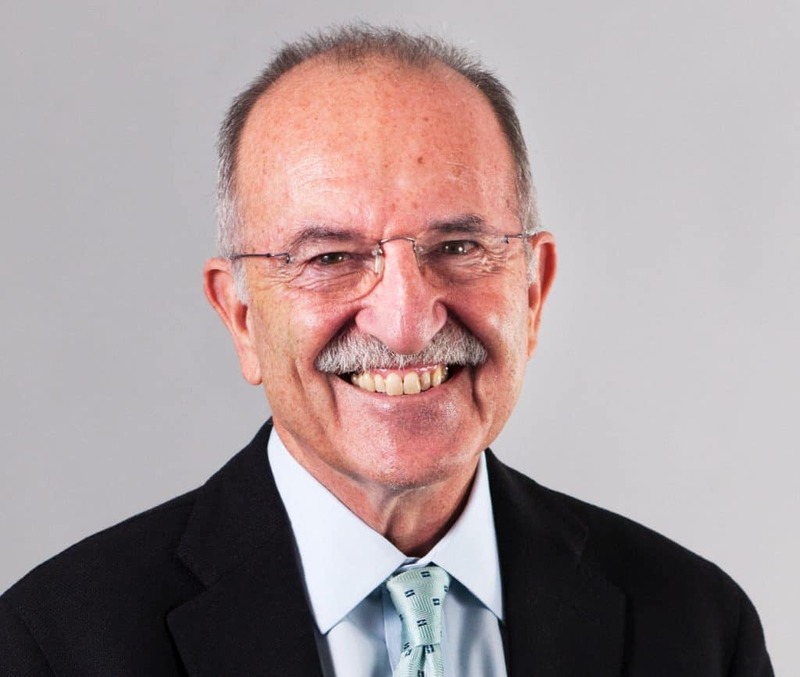 “It’s already five to twelve”, says Stephan Russ-Mohl, professor of journalism and media management at the Faculty of Communication Sciences, University of Lugano. “In the fight against disinformation, we’ve got our backs against the wall”. Despite all the initiatives that already exist, we can barely reach people”. Science urgently needs something along the lines of a communication strategy. It’s not enough to be right in principle. Because as the above examples prove, people are rarely willing to abandon their convictions through arguments alone. “If facts challenge the ideology of your conversation partner, mentioning them can be counter-productive”, says Gleb Tsipursky, a science historian at Ohio State University with an interest in psychology. “People speak of this as being the ‘backfire effect’”. This is why he recommends first exploring the emotional state of your conversation partner. Why is he so angry? What’s troubling him? In a second step, you have to demonstrate sympathy for his problems. Only when you’ve done this groundwork should you bring your arguments – but you should do this, wherever possible, so that you don’t come across as diametrically opposed to the fundamental convictions of your opposite number. By following these steps, Tsipursky claims to have been able to change the minds of several science sceptics. Dietram Scheufele is of a similar opinion: “When I mention climate change to a Republican, the shutters come down straightaway. It’s pointless for me to say anything more”. So if you want to campaign for renewable energies, it’s better to appeal to cross-group values. “It’s best if you emphasise energy independence and global competitiveness. These are things that are important to all Americans. For example, Arnold Schwarzenegger does that very well”. Katharine Hayhoe is someone Scheufele thinks could be a role model. She’s a climate scientist, the director of the Climate Science Center of Texas Tech University, and also an evangelical Christian. It’s an unusual combination, but proves to be highly effective. Her religion gives her credibility in conservative circles, and her insistence that we must preserve Creation has enabled her to convince many a sceptic that climate change is real – including her husband, a pastor. 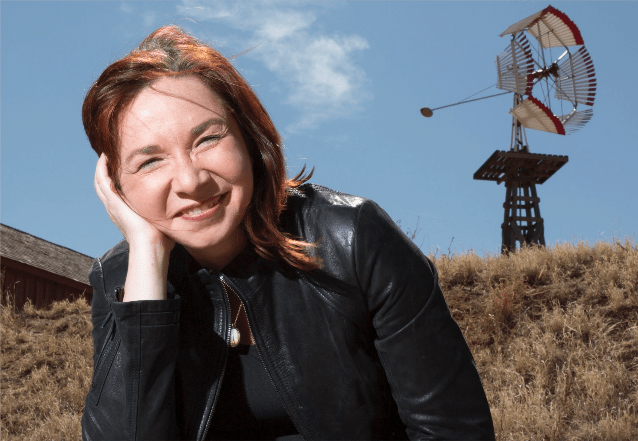 The business magazine Fortune currently ranks Hayhoe at number 15 in its list of the ‘World’s greatest leaders’. Getting to grips with people’s values could also work in other fields. A study at Emory University in Atlanta, for example, has shown that vaccine campaigns don’t have much impact if they strike a moralising tone and highlight the danger to vaccine-ineligible children. Vaccine-sceptical parents don’t generally react to the value of ‘fairness’. You’d have a better chance of success if you pointed out that vaccines strengthen the body’s natural resistance and give you greater control over your health. Another approach from communication psychology is so-called framing. This means the art of giving a topic a specific slant by carefully choosing your vocabulary. This can help you to shift the audience’s emotions in the direction you want. Dietram Scheufele offers a negative example that’s been successful: the expression ‘Frankenfood’ for genetically modified foodstuffs, which immediately awakens notions of science being out of control. “This concept was quite intentionally coined by an organisation opposed to genetic engineering. It has such a powerful impact that it’s difficult to combat”. First show empathy, then bring out the facts, but in moderation. Consider your audience, and choose your examples accordingly. State clearly where your expertise ends and your own opinions begin. When launching a new topic, consider early on how to frame it. For universities and funding organisations: offer courses in communication and create incentives for scientists to engage in PR themselves. This is why it’s all the more important for scientists to consider early on how they should talk about their topics. For example, there is a new book entitled ‘A Crack in Creation’ about the genetic engineering method CRISPR, written by Jennifer Doudna, a researcher from Berkeley. “It sounds good”, says Scheufele. “But it will tread on the toes of the almost 60 percent of Americans for whom religion is very important”. It reads as if this new technology contradicts the values of a large portion of the population. “If such a notion gets established, it’s almost impossible to rectify”. The situation is pretty messed up. Science is in the process of losing the race – even before it’s really noticed that the race is on. “First, the scientists have to realise that they actually have a problem”, says Gleb Tsipursky. “Then they have to stop seeing themselves as lone fighters and start to club together”. Tsipursky has set up a movement called ‘Pro Truth Pledge’. It gets experts – along with journalists and interested laypersons – to commit publicly to spreading only information that’s been verified; they also have to correct their own mistakes and the mistakes of others, and must always differentiate between facts and opinions. This might sound obvious to a scientist. But it’s probably wise in today’s age to cease assuming that anything is obvious at all. When it’s suggested that science sceptics are hardly going to be won over by such a project, Tsipursky answers that there are still enough people situated between the two opposing poles who might respond to such an approach. Hardened sceptics are probably hopeless cases anyway. Stephan Russ-Mohl has also had a similar idea. He is proposing an ‘alliance for enlightenment’. “Scientists and journalists should come together in an alliance to counter the flood of disinformation and fake news”. This would help journalists to get new, reliable stories, while researchers for their part would have a basis from which to communicate more with the broader public. However, at present there is nothing to suggest that such an alliance could actually come about. But what if scientists communicated directly with the public on a more regular basis – such as via social media, blogs or newspaper articles? “That would be desirable, but there are no incentives for it”, says Russ-Mohl. Scientists have enough on their plate, he says, because they need to publish in specialist journals to maintain their standing. “For as long as PR isn’t explicitly rewarded by the organisations that fund science research, it’s unlikely anything’s going to change”. Furthermore, many scientists have adapted quite comfortably to living in complete disregard of the public. Of course it’s difficult to discuss things with laypeople, especially when they’re recalcitrant. “It often seems to me like I’m arguing with kids”, says Tom Nichols, who gives many public lectures, writes popular articles and is a passionate tweeter. “For example, if you correct the false assertion of someone you’re listening to, you’re immediately accused of being elitist and arrogant”. Nevertheless, this is something that experts mustn’t shy away from: “Whether they like it or not, experts have to get involved”. Maybe mathematicians and surgeons might be excused, but all those who deal with politically controversial topics ought to take part – the so-called ‘public intellectuals’. “It’s our duty to discuss things with the public and not just among ourselves”. People like Nichols are not lone warriors today. There are signs of a possible coordinated campaign – such as with the March for Science, which brought several hundred thousand people onto the streets in 2017. On the other hand, there is hardly any sign that the barrage of disinformation adn misinformation and the vilification of experts is going to ease up. Nichols is less optimistic. If you ask him for a general assessment of how things stand, his answers can be pretty frightening. It is tragic to think, he says, that this rampant narcissism might only disappear if it culminates in a catastrophe – such as a war or economic collapse. Because in crisis situations, people suddenly feel a need for real expertise again. “In the emergency room”, says Nichols, “you don’t see many people arguing with the doctor”. This article first appared in Horizons. It is republished here with the permission of the author. The article has been slightly edited and shortened. If you liked this story you might also be interested in “Why Journalism Needs Scientists (Now)”. Sign up for the EJO’s regular monthly newsletter or follow us on Twitter. Mathias Plüss is a science journalist who regularly writes for Das Magazin. Multimedia Reporting: Snow Fall, A New Wave Of Literary Journalism?